Yes, I did title this blog correctly. 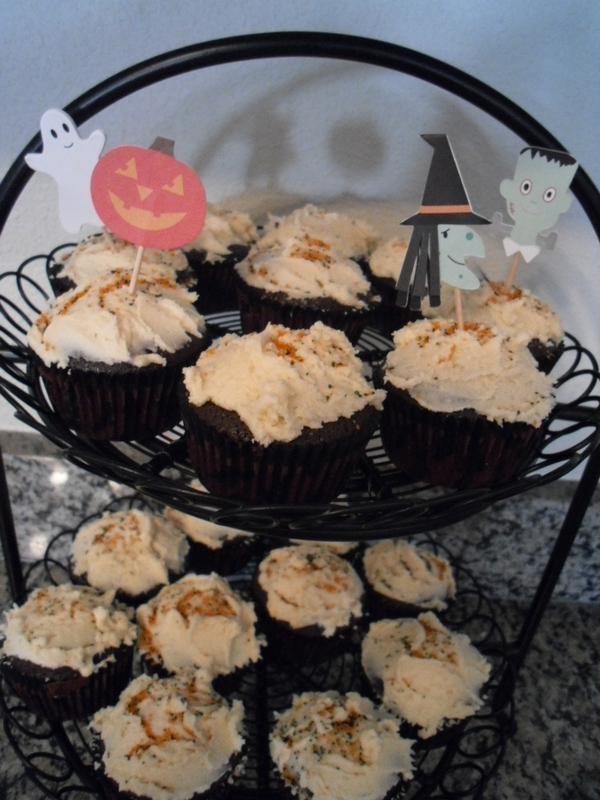 I’m talking about Guinness cupcakes today. I had sampled these little luxuries some time ago, from a dear coworker. Well, I decided it was time to bake something for Halloween … and what could be more frightening than combining liquor with baked goods. So, I added it to my weekend list and I got started. First, I needed all things cupcake to get started. PoppaNut and I headed to my favorite place on earth: Home Goods. I found this amazing cupcake display. 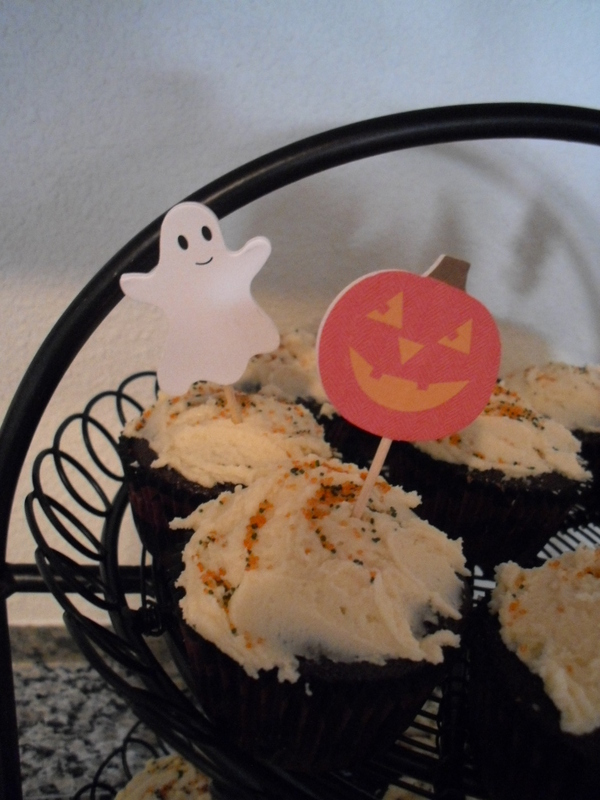 Plus, I found a package of Halloween cupcake papers and decorations for $5. And I just know that these little extras will make all the difference in the final display. I lay out all my ingredients and I get to work making the Guinness cupcakes with Bailey’s Irish Cream frosting! To die for!!! •Preheat the oven to 350 degrees. 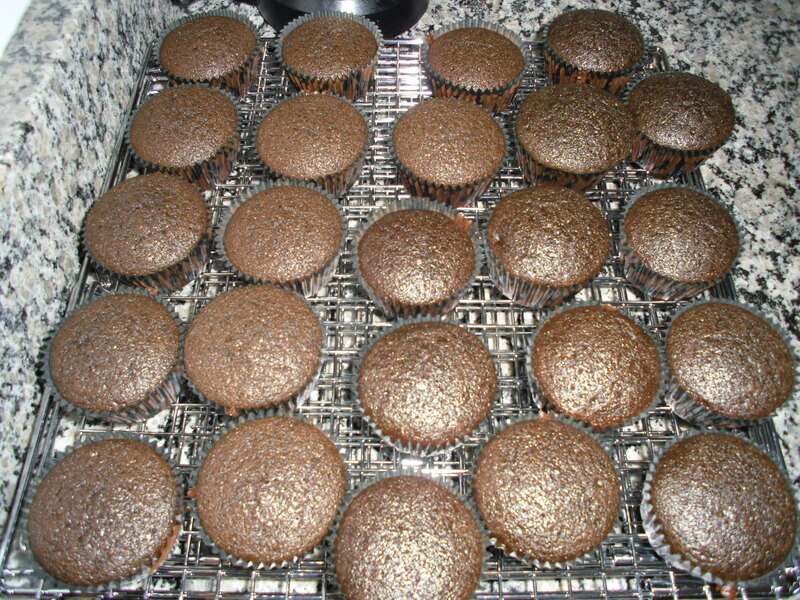 Line two cupcake pans with 24 cupcake liners. •Combine the butter and Guinness in a small saucepan over medium heat until the butter melts. Add cocoa powder and whisk until smooth. Remove from heat and set aside. •Combine the flour, sugar, baking soda, and salt in a large mixing bowl. Mix together with a whisk. In the bowl of an electric mixer combine the eggs and sour cream. Beat just until combined. Add the beer mixture to the eggs and beat again, just until combined. Gradually add the dry ingredients to the wet ingredients, mixing on low speed until combined. •Fill cupcake liners about 2/3 full with batter. Bake for 17-20 minutes at 350 degrees until a toothpick inserted in the middle comes out clean. 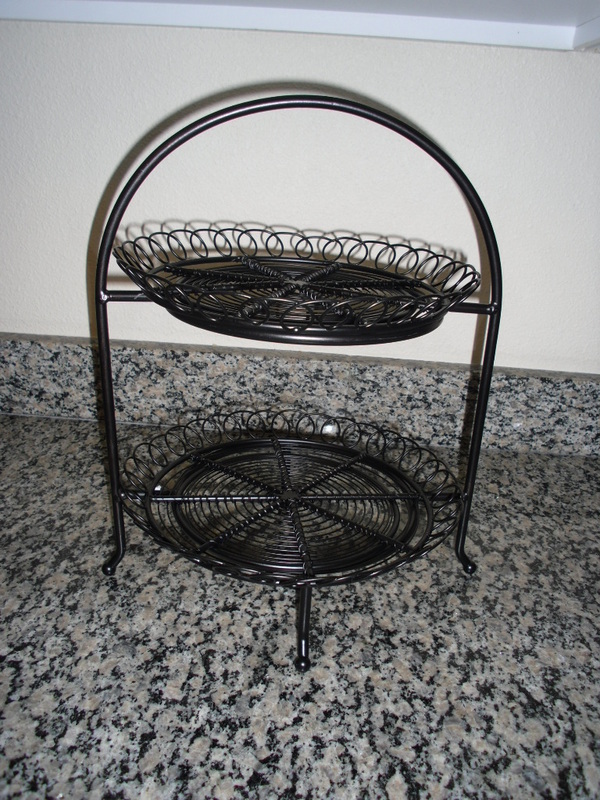 Let cool in the pan for about 5 minutes, then transfer to a wire rack to cool completely. •To make the frosting: Place the butter in the bowl of an electric mixer fitted with the paddle attachment and beat on medium-high speed until fluffy, about 3 minutes. Slowly add the confectioner’s sugar to the bowl and continue beating until completely incorporated. 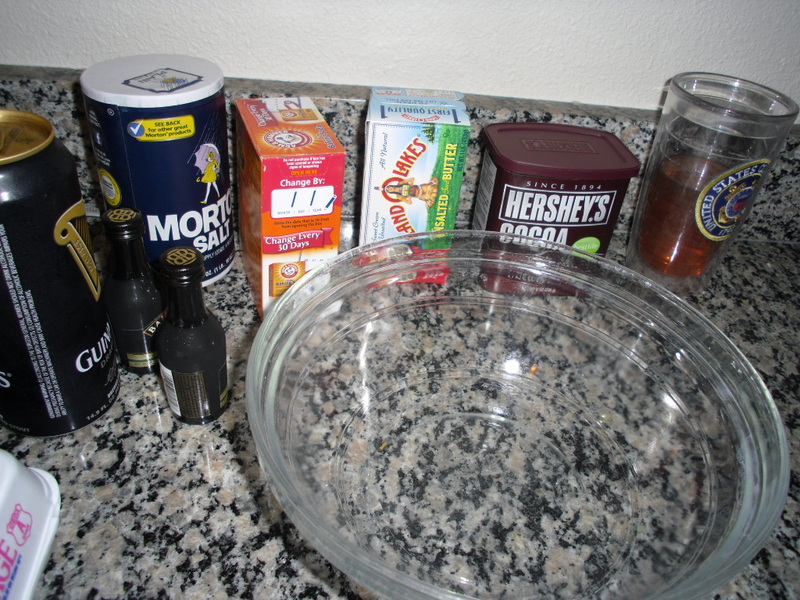 Add the Bailey’s and mix until smooth, adding more if necessary to get the desired consistency for frosting. Frost the cupcakes as desired. Once I was done, I added sprinkles and decorations from Home Goods, and placed them on the display tray I found. I have to say, they didn’t last long. Once PoppaNut got a hold of them, they basically disappeared! 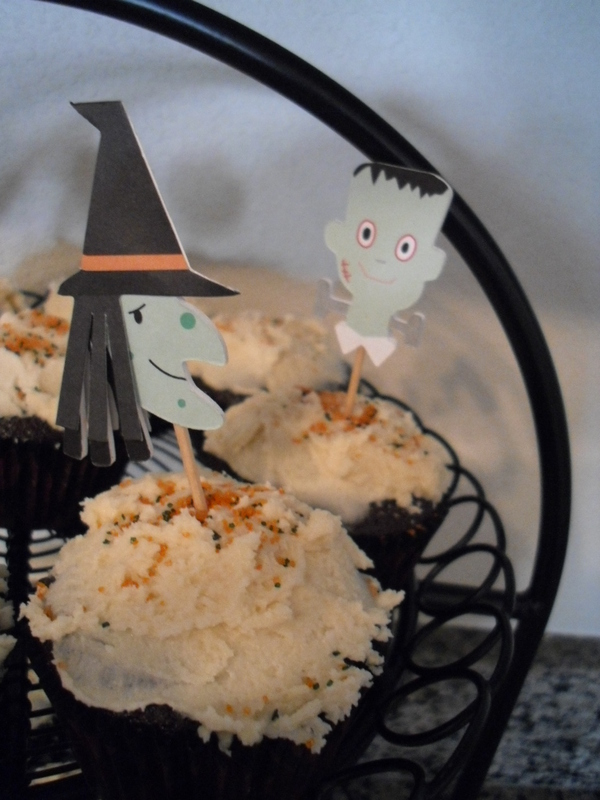 But, I’m so glad he loved them and I actually really enjoyed making these little treats for Halloween. Perhaps this is a new family tradition! And that’s life in a nutshell … Guinness can really go with cocoa … if you have the right recipe to pull them all together.